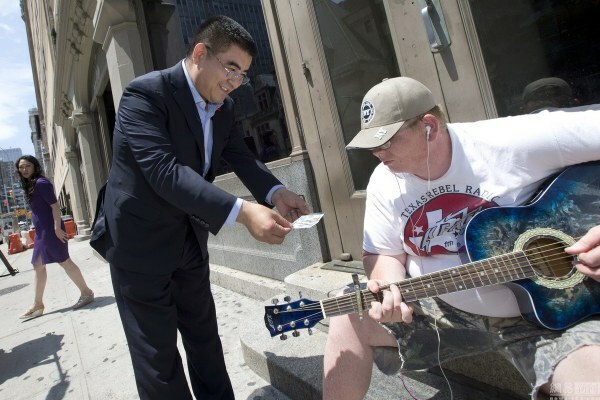 2014 June 24 local time, New York, United States, Chinese billionaire Chen Guangbiao handed out one hundred dollar bills to homeless people and street artists [buskers] on the streets of New York, with some people refusing the money he handed them. 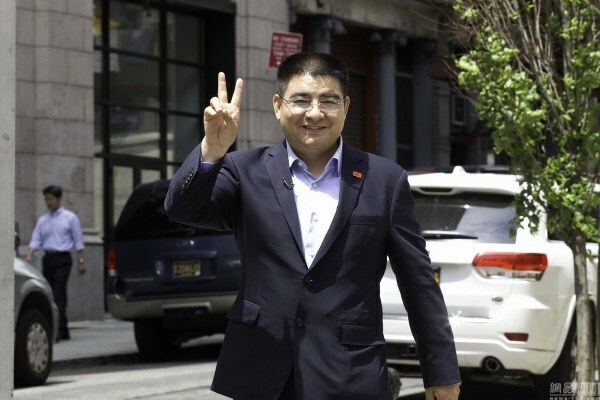 For background to understand some of the following translated Chinese netizen comments, Chen Guangbiao is a well-known Chinese billionaire and philanthropist infamous for his publicity stunts. I remember three or four years ago, the mainstream financial media were making fun of Brother Biao, resulting in the so-called hearsay we see now. Later, they felt their making fun of him was indeed without class and it faded away. Now they’re making fun of Brother Biao again. Hehe, I won’t try to explain or defend Brother Biao’s actions, but I do want to ask one thing: I just saw someone mention the One Foundation [a charity founded by actor Jet Li, see comment below by 西山坑], and I felt the question asked was good. Why does the mainstream media and public intellectuals not go scrutinize the One Foundation? Hasn’t there been enough information exposed in the past few months about the various dark secrets including many of the early One Foundation volunteers. We can’t say that One Foundation is simply black [corrupt], but have enough media investigated it? Why not? Waiting for the One Foundation to falsify its accounting books and wash away the evidence??? Pan Shiyi, Ren Zhiqiang, the Pan Renmei Incident [a controversy surrounding a land sale and transfer in 2007] had a lot of people exposing information on the internet and even reporting it with their real names, but why didn’t the media and public intellectuals investigate that? Wang Lin was exposed yesterday, but why doesn’t the media and public intellectuals probe into that? 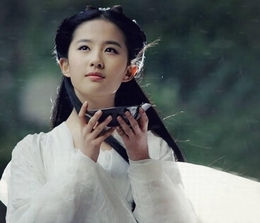 Only because Wang Lin is surrounded by big money? 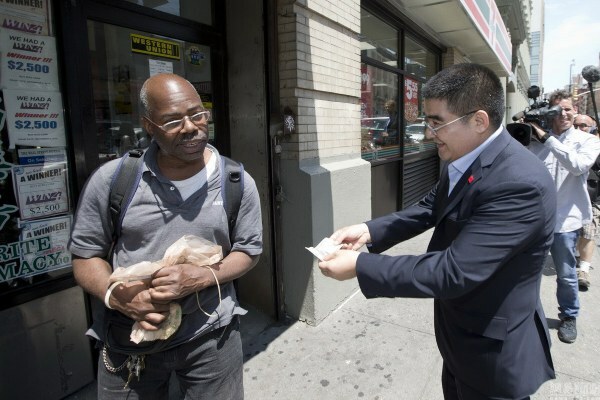 Whereas Chen Guangbiao is actually donating honest money and yet he is constantly hounded? Just because he’s emulating Lei Feng? Only because he loves his homeland/country? Only because he is passing on positive energy [trying to be a positive influence in society]? If you’re going to dig up dirt, then dig up dirt on everyone, and report it on everyone. Otherwise, it is all ulterior misleading and brainwashing of us netizens. Chen Guangbiao, you’re embarrassing yourself [and/or Chinese people] even abroad now. When giving people money, why is there someone carrying a camera behind you? With China being so poor, can you be serious and do some practical things, okay? You are a sore among China’s entrepreneurs, an embarrassment, an embarrassment, and you can still laugh.